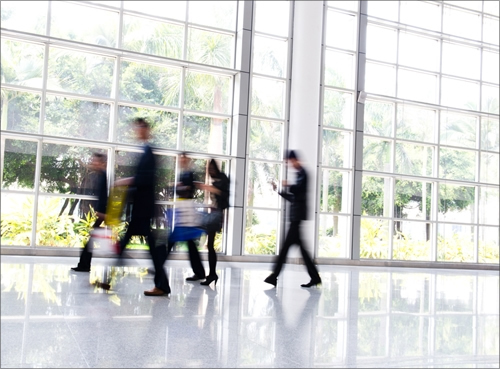 Moving a single employee or a group of employees is a complicated task, which is why it is critical to help transferees acclimate to their surrounding environments before they start working. If employees aren’t able to arrange a visit to the new location before they pack their things and move, they should do as much research on the area as they can. This may include reading local news or publications that focus on the surrounding area, which can help new residents learn the language and cultural interests. Cultural training can be crucial to assignment success. Culture shock is a very real phenomenon that impacts many travelers. When preparing for or managing culture shock, the U.S. Bureau of Educational and Cultural Affairs recommends keeping an open mind, staying physically active, and making an effort to get to know other people as much as possible. When talent is relocating overseas, they must first get their paperwork in order. Companies should help transferees do their homework on important travel documents. Provide information on customs and immigration requirements, Visa acquisition, and which vaccinations transferees must obtain before departure. Some countries have currency restrictions for entry as well. The U.S. Bureau of Consular Affairs has valuable supplementary resources that outline what countries require upon arrival. If a business is unsure how to tackle international relocation, an experienced Relocation Management Company (RMC) can provide the necessary insight and solutions to navigate today’s mobility challenges. Relocate Magazine highly recommends employing a trusted partner in this capacity, especially if management or C-level executives are unfamiliar with global relocation and the new area where they are moving their talent. RMCs can provide unique and fresh insight into each move. Whether a company needs a partner to help with the entire move, or simply needs to outsource certain aspects of a relocation effort, RMCs can provide expert guidance and help determine the most efficient and effective solutions. The corporate relocation experts at Global Mobility Solutions (GMS) have the knowledge and expertise to help your company manage its international talent relocation and offer your employees the best relocation experience. Contact our team of experts to discuss how we can help your international talent relocation process, or call us directly at 800.617.1904 or 480.922.0700 today.